I didn't mean for this to happen, but when you wonder onto The Body Shop website and see massive sale signs and discount codes then, what is a girl to do eh? SHOP! Recently my skin has been playing up and I've tried soooo many different lotions and potions, until a couple of you guys recommended the Tea Tree range from The Body Shop on Twitter. 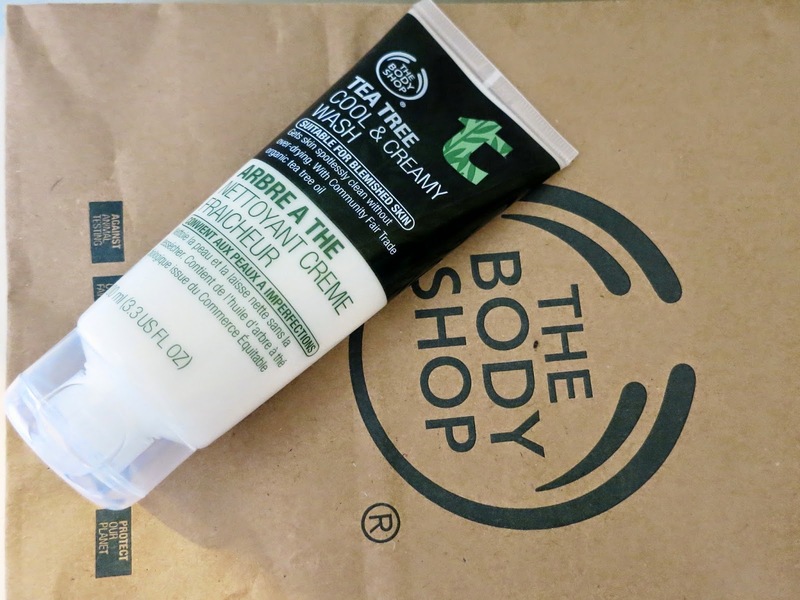 Tea Tree Cool & Creamy Wash I purchased this one because I noticed a few people mentioned that the ordinary Tea Tree wash was a bit drying, so I opted for this one. I have used this for about a week now and it's not drying in the slightest, thank god! It's also very refreshing and gorgeously creamy without being over moisturising for your blemished skin. It's still only early days but I'm really enjoying this wash. Tea Tree Skin Clearing Toner Of course after a cleanse you need to close those pores back up, so no excess dirt can get in. I chose the Tea Tree Skin Clearing Toner as it's suitable for blemished skin and claims to remove impurities and help give clearer looking skin. This toner smells pretty strong, so this may be a concern for some people, I don't mind too much. I love using a toner because it really helps you remove any excess makeup/dirt after cleansing, that you can't see. The only thing with this one is, I've noticed that at the bottom of the bottle, a kind of powder I guess forms and it really needs to be shook hard to mix it all up before use, I'm not sure if this is supposed to happen or not. Tea Tree Skin Clearing Lotion I've always been a bit nervous of moisturisers when my skins playing up, because I think the last thing my skin needs is for me to clog it up with a moisturiser, surely that's going to cause more spots. I know this is wrong and moisturising is very important for all skin types, so the last step of my new daily skincare regime is the Tea Tree Skin Clarifying Lotion. I wasn't too nervous to try this because of the Tea Tree which is known to help clear blemishes and excess oil, so I'm pretty excited to try this one and hopefully I have found my perfect moisturiser. After using this for the past week I have noticed that this moisturiser leaves my blemished skin feeling super soft and doesn't leave me with an oily shine. Seaweed Pore - Cleansing Facial Exfoliator I've been meaning to get a good exfoliator for a month or two now because this is often a step I forget about. I wanted something that would help get rid of any dead skin and impurities, but also wouldn't be too harsh and 'upset' my troublesome skin at the moment. 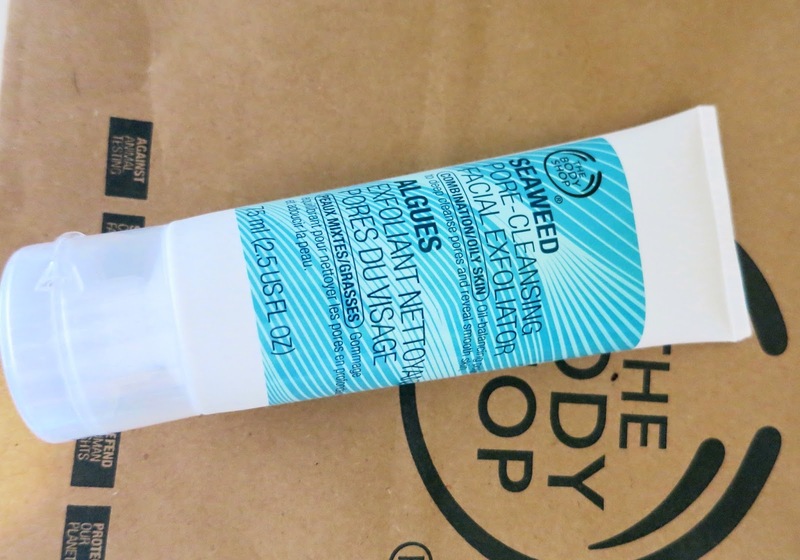 This sounded perfect as it's for oily/combination skin. The little granules in this exfoliator aren't to harsh and the almost gel type cream seems very moisturising, I haven't used this yet but I'm sure I'll let you know how I get on, once I've gave it a go. Almond Hand & Nail Cream I've just run out of my Soap & Glory Hand Food, so I was in the market for a new hand cream. My hands get very dry at work and my nails get ruined, so I wanted something to help. This sounded great as it's for hands and nails. This is a lovely cream to use and it does really add moisture, my nails also feel a lot stronger and look more healthy and shiny. The only thing I can say I'm not too keen on about this cream, is the packaging. I think the packaging looks lovely but the fact that it's not hard plastic, makes me feel like it can get pierced very easily if I just throw it in my bag, I don't know about you but I don't fancy hand cream all in my bag! Also the lid is pretty annoying to put back on again. 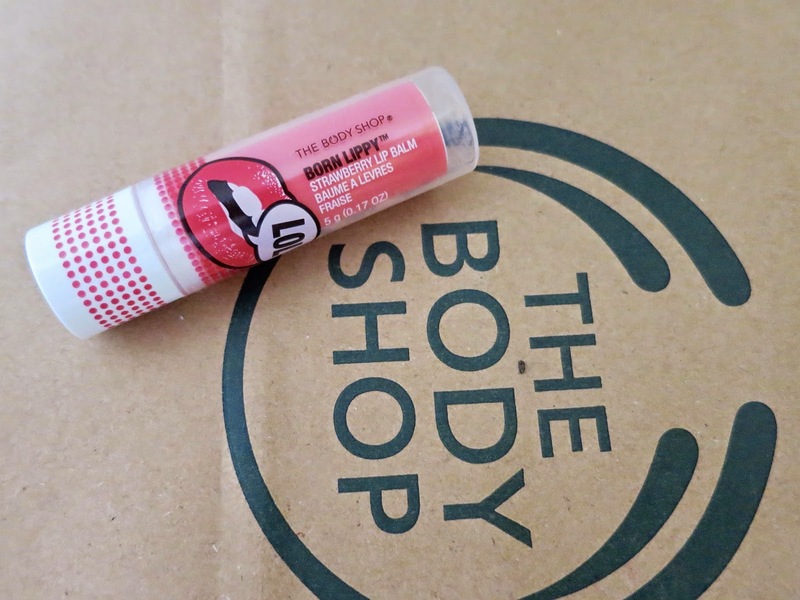 Born Lippy Strawberry Lip Balm I have also just run out of my Burt's Bees Mango lip balm so I needed a new one. I used to be obsessed with the Born Lippy Strawberry Pot Lip Balm, as it smelt amazing. I then noticed this stick and thought I had to give it a go. I love this one because it has the same strong strawberry scent, but it's in the more practical stick form. Also it's more moisturising too! 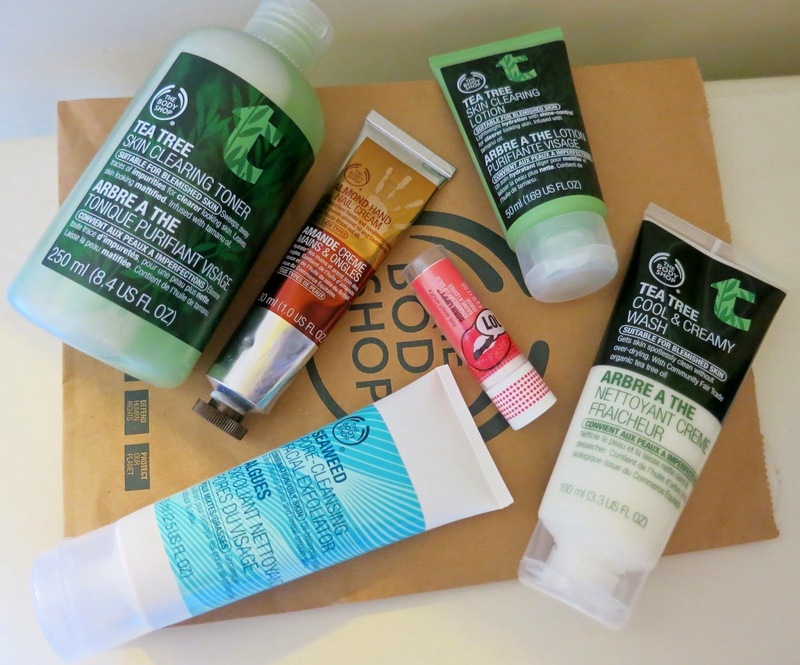 So that's everything I purchased on my recent www.thebodyshop.co.uk visit. I hope you have enjoyed seeing everything I got and maybe I have inspired you to take a wonder into The Body Shop, Thanks for reading. 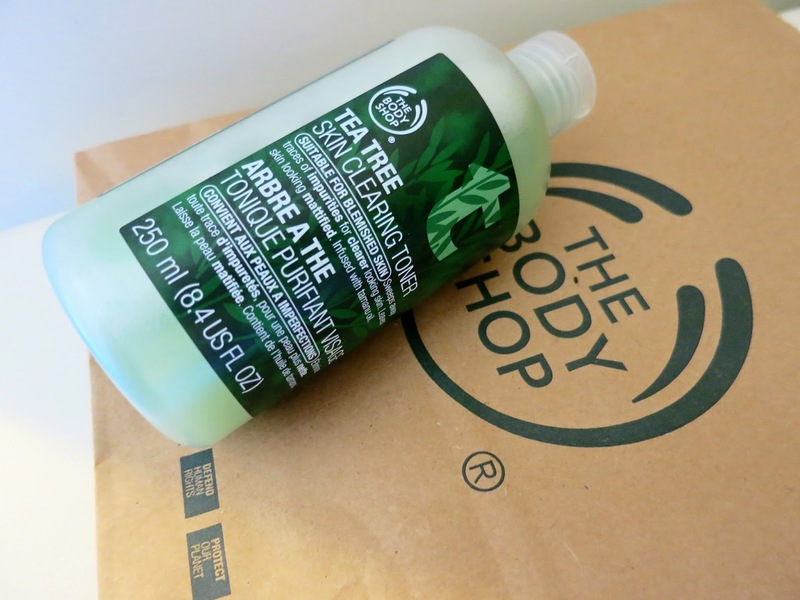 I love the Body shop, i went in to my local a while back to purchase the tea tree range but it was out of stock! I ended up coming away with the Seaweed range instead which is also for oily skin. Hopefully next time they'll have tea tree in as im dying to try it. 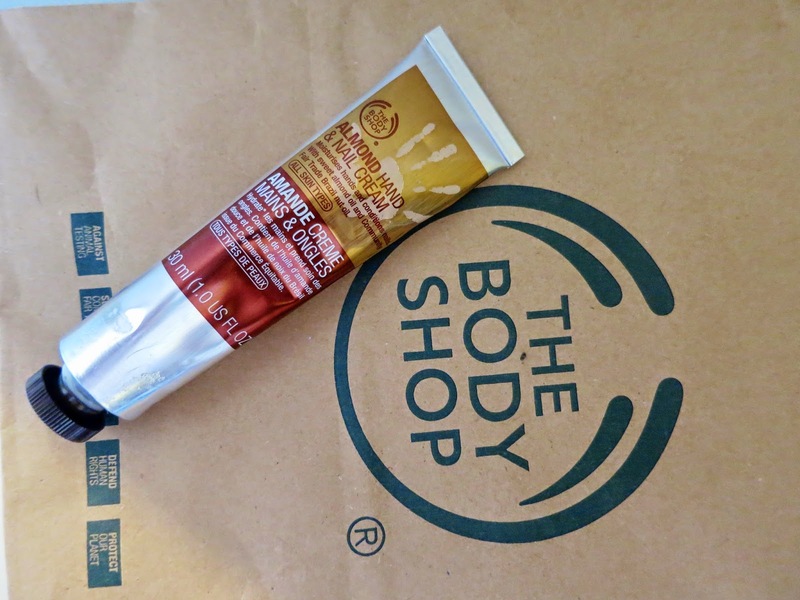 Also, I think the almond hand cream is lovely!